Our Helicopter Theory Course has been carefully written by very experienced instructors to ensure you receive the most practical, comprehensive and interesting tuition possible. The CASA CPL(H) Theory Syllabus is constantly evolving and being updated by CASA. All CASA examinations are delivered on a computer via the internet by the CASA PEXO Exam system. Under this system student pilots sit a separate theory exam for each of the seven ground theory subjects you need to study to obtain your Commercial Helicopter pilot’s licence. We update our course notes and practice examinations to ensure the material you receive remains the most up to date available anywhere in Australia. Our course is very intensive, however we have done everything possible to ensure adequate time is given to fully cover each of the parts in the CASA PEXO Exams. We have found that our short course format with our constant revision sessions, leads to better information retention, especially on exam day. Meteorology – 7 Days in Class – CASA CMET PEXO Exam scheduled for the Wednesday after class finishes. Meteorology is one of the most important topics covered, as every flight you undertake will be somehow influenced by the weather conditions experienced. The composition of the atmosphere, formation of clouds, understanding of synoptic charts and weather patterns and the effect of air temperature and air pressure on your helicopter’s performance are all discussed in detail. You will also learn to read aviation weather forecasts, which appear at first to be written in a foreign language, but with a bit of practice it will all become quite easy. Our many years of flying experience allow us to show you the practical application of all you have learnt. Navigation – 8 Days in Class – CASA CNAV PEXO Exam scheduled for the Tuesday after class finishes. Once weather forecasts can be read, we can start to plan flights all around the country, which brings us to the point where we need to be able to navigate. Thursday of week two we commence studying the Navigation syllabus. You will learn how maps are made and with a little bit of practice you will be able to read all of the fine detail and information available to you on a map. You will also learn how to do basic navigation calculations on your slide navigation computer. 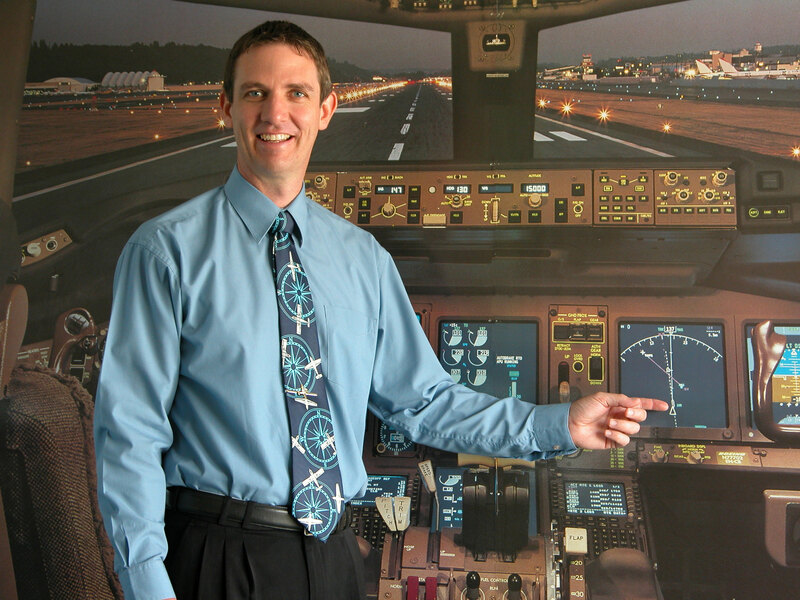 The ability to navigate accurately is a skill that will always be of great benefit to a pilot. Unfortunately too many pilots don’t spend enough time learning the basics, and are never really able to take full advantage of the navigation flying training that comes later. Your Navigation study continues right through to the Monday of week four. You will become more proficient in using your flight navigation computer to calculate your expected ground speed, heading and fuel consumption during a flight, and are then shown how to plot positions on aeronautical charts. Eventually you will be able to plan a complete flight. The procedures used when you are actually flying are discussed next, and you will even learn the various methods to apply if you are unfortunate enough to get lost out there! Our students always seem to enjoy learning about navigation, as it is a very practical “hands on” subject. The exercises you do in class will be excellent preparation for not just the theory examination, but for your flight training as well. Monday of week four is a full day of our Navigation Practice CyberExams, before sitting the actual CASA Navigation PEXO Exam on the Tuesday. Flight Rules and Air Law – 8 Days in Class – CASA CLWH PEXO Exam scheduled for the Monday after class. It is essential that you have a very good knowledge of the sometimes complex rules that need to be followed to ensure the safe conduct of a flight. Some of the topics we discussed in Meteorology are now put to use to determine if a flight can proceed, after considering the weather. You will also learn about the privileges and limitations that apply to your Helicopter Licence, the requirements to obtain mustering, agricultural and sling ratings and the rules that apply to conducting charter operations. Radio procedures and basic rules of the air that allow aircraft to share airspace without risk of collision are an important part of this subject. Wednesday to Friday of week four and Monday to Thursday of week five are spent studying the entire Flight Rules and Air Law Syllabus. On Friday and over the weekend, Flight Rules and Air Law Practice CyberExams are attempted with the actual CASA Flight Rules and Air Law PEXO Exam being sat on Monday of week six. Aerodynamics – 6 Days in Class – CASA CADH PEXO Exam scheduled for the Wednesday after class finishes. Now it is time to learn how and why the helicopter fly’s. If you want to be able to achieve the maximum performance and safety from your helicopter once you are out of the classroom and finally become airborne, then an understanding of helicopter ‘Principles of Flight’ is essential. This is a subject that you should find very interesting, as your chosen future career is flying helicopters. In fact you will be amazed a helicopter fly’s at all when you look at how many forces are being kept in a fine balance while you are in flight. Aircraft General Knowledge – 5 Days in Class – CASA CSYH PEXO Exam scheduled for the Thursday after class finishes. Thursday and Friday of week seven and Monday and Tuesday of week eight will be spent studying Aircraft General Knowledge. You will learn about basic piston engine operating principles, fuel systems, oil and engine cooling systems, followed by a good look at helicopter transmissions and rotor systems. You will also learn how helicopter electrical systems and starting systems work and how fire detecting and extinguishing systems operate. Once you understand the mechanics of a helicopter you will then be shown how the various engine and flight instruments in a helicopter have been designed and how to interpret the information they display. Wednesday will be spent attempting our Practice CyberExams with the actual CASA Aircraft General Knowledge PEXO Exam on Thursday. Operations, Performance and Planning – 9 Days in Class – CASA CFPH PEXO Exam scheduled for the Thursday after class finishes. In Operations, Performance and Planning you will learn how to determine the maximum take-off and landing weights your helicopter can achieve under various conditions, how fast and how high the machine will fly and how far you can go with the fuel available. Perhaps the most important safety aspects of flying a helicopter become apparent during this part of the course. A major topic covered during this week is Weight and Balance. As you study this topic, you will learn how to correctly load a helicopter to ensure it can be safely controlled and manoeuvred through all stages of a flight. You will use this knowledge to understand the limitations that apply to helicopter operations, and avoid dangerous situations in the future. Human Factors – 5 Days in Class – CASA CHUF PEXO Exam scheduled for the Friday after class finishes. The course is centred around the text “Human Performance and Limitations” written by respected aviation author and theory instructor, Bob Tait. This is an excellent text book, written in a very easy to read and interesting style. The text covers the entire CASA Human Factors syllabus, including topics such as Threat and Error Management, Aviation Medicine, Physiology, Anatomy and Psychology. One of the major advantages of attending our theory course is our constant revision and assessment process. Revision is a very important part of our whole course, especially when much of the course material is new to you. At Advanced Flight Theory, from the very first lesson you will be reviewing all topics covered through carefully written Revision Tests until you are ready to attempt the Practice CyberExams. We believe our Practice CyberExams are the very best available anywhere in Australia with instant internet marking and a print out of the areas where you require further study. This ensures that by the end of the course, you will have had not only considerable tuition and revision of all subjects, but you will have also developed a very good exam technique. Exam technique can be just as important as knowledge of the topic in the limited time given to complete the CASA CPL(H) PEXO Exams. Even more important to you is the personal attention you will receive from your dedicated ground theory instructor. We know that when it comes to keeping track of your progress, absolutely nothing beats direct consultation and personal discussion with your instructor. Contact Kate Lawrence for further details! You will require a complete set of CASA Regulatory Documents and your own navigation equipment. The CASA documents will be used by you for the rest of your aviation career and include current CAO 20-95, CAR, AIP, ERSA, VTC, ERC, PCA and WAC. The navigation equipment will also be used by you each time you fly and includes a Flight Computer (slide type is preferred for class, however the circular type is okay if that’s what you already have), WAC Scale Ruler, and Navigation Protractor. You will require highlighter pens, pencils and sharpener, post-it-notes and a supply of A4 reinforced ring binder note paper. For all subjects where an electronic calculator is required to answer CASA PEXO Exam questions, you are required to supply your own calculator on exam day. We have stocks of Aurora DT210 desktop calculators available in our supply shop and you can purchase one of these to use each day during your study. You may have never heard of any of these documents or navigation equipment before, but there is no need for concern as everything you need is available on site when you arrive to commence your course with us. We will be able to show you the various items and fully explain their use to you then. Full-Time Ground School in class covering Human Factors, Meteorology, Flight Rules and Air Law, Navigation, Aircraft General Knowledge, Aerodynamics and Operations, Performance and Planning. Meteorology, Flight Rules and Air Law, Navigation, Aircraft General Knowledge, Aerodynamics, Operations, Performance and Planning and Human Factors. Upgrade Option – If you change you mind and decide you would like to attend classes, you can upgrade to our Full-Time Ground School Course for the subjects Human Factors, Meteorology, Flight Rules and Air Law, Navigation, Aircraft General Knowledge, Aerodynamics and Operations, Performance and Planning for an additional *$2995.00. You must bring your Distance Learning course notes to class with you, as these are not re-printed as part of the upgrade option. All CASA Flight Crew Examinations are booked through ASPEQ (www.aslexam.com). CASA PEXO Exams can only be sat in Australia. If you would like to enrol in our CPL(H) Full-time Ground School Course by using our secure “online” enrolment service, where you can order or enrol online and pay by credit card please Click Here.